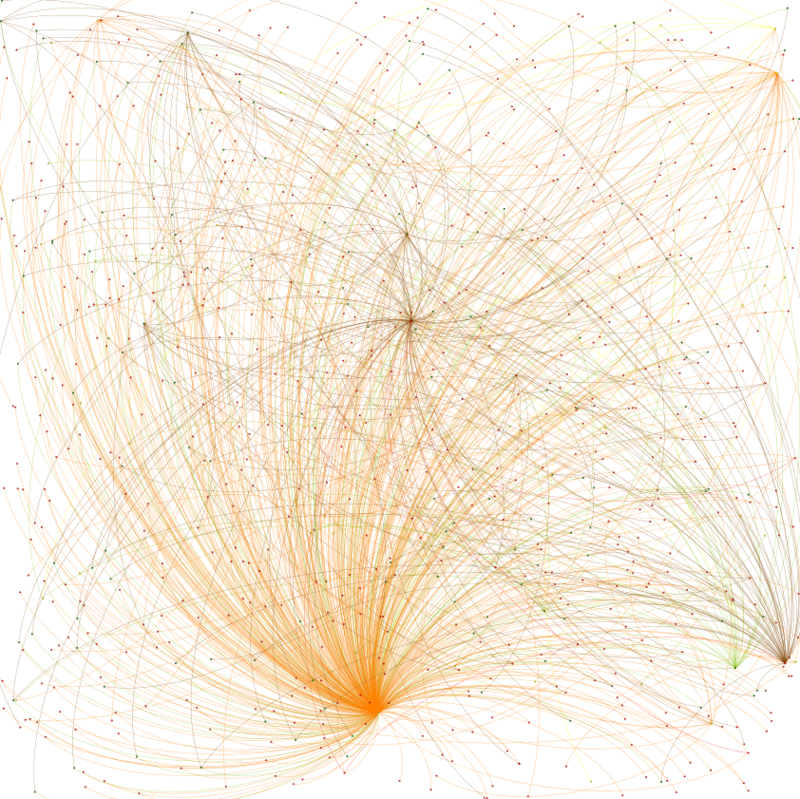 LAN Traffic as seen from a workstation visualized using afterglow and Gephi. To get GDF format file for Gephi use the -k parameter with Afterglow. Thanks Raffy.